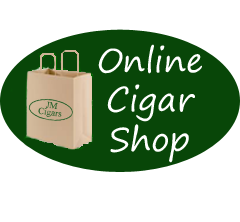 JM Cigars is located in the Marchwood Shopping center, in Exton, PA. Easy access from Malvern, Frazer, Downingtown, King of Prussia, Phoenixville and West Chester. We hope you can join us for our Room 101 Cigarmageddon! The Cigarmageddon begins Thursday, May, 23 at 4PM. For the first time in Exton Matt Booth the creator of Room 101 cigars will be hosting and promoting his cigars at JM Cigars. All Room 101 cigars will be on sale and great giveaways. We hope you can join us for our La Aroma de Cuba – Bring the Passion Tasting! The tasting begins Thursday, April, 11 at 4pm. Join us for exclusive event specials and promotions. Mark your calendar now! For every $20 spent on La Aroma de Cuba & Ashton cigars you will receive a raffle ticket. Hand rolled in Esteban Carreras’s Nicaraguan factory, the cigar boasts what is billed as a Habano Oscuro wrapper. The Esteban Carreras Chupacabra is a full-bodied Nicaraguan Puro boasting layered flavors of espresso, cream, oak and spice through a clean, easy draw. The Loose Cannon lines have finally arrived. We have the 1206 Box-Pressed Sumatran and the Trigger Happy Habano. On the outside a feisty Habano wrapper, chocolate-brown and teeming with natural oils. Just beneath, a robust long-filler core. Together, this ensemble wrangles up a meaty and bold profile loaded with spicy-sweet nuances. And what truly adds a level of intrigue here are the unique sizes.